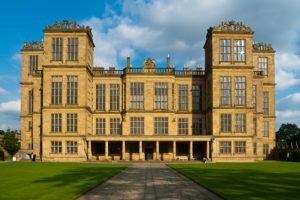 Friends Of Sheffield Manor Lodge invite you to a coach outing for a private guided tour of Hardwick Hall (commences 30 mins before the House Opens) plus a vist to Stainsby Mill (edge of the Estate). 10.00 am arrive 5-10 mins walk to the hall-buggies available for disabled. Cost £19 to include coach fare, private guided tour and tour around Stainsby Mill, Cost for N.T. members is £14 (You must bring your NT membership cards). Lunch can be taken at the restaurant in the new extensions to Hardwick or just outside there is very large picnic area with tables. NT Members are allowed back into the House and Gardens. For Non Members may I suggest that when the tour finishes in the gardens, you stay inside until you have seen what you want to see before exiting the gardens. During the extended lunch break, may I suggest that you pop across and tour the Old Hall supervised by English Heritage (Audio Tours available). Both NT/EH members will be free and to Non Members it is £6 or £5.30 for Concessions.